Because indoor air is known to be more pollutant than outdoor air, Logan Services provides multiple solutions to achieving the cleanest, most breatheable air possible in your home. Filter out mold, mildew and bacteria from circulating throughout your house, and find comfort knowing your family and guests are safe from inhaling harmful airborne particles and allergens. 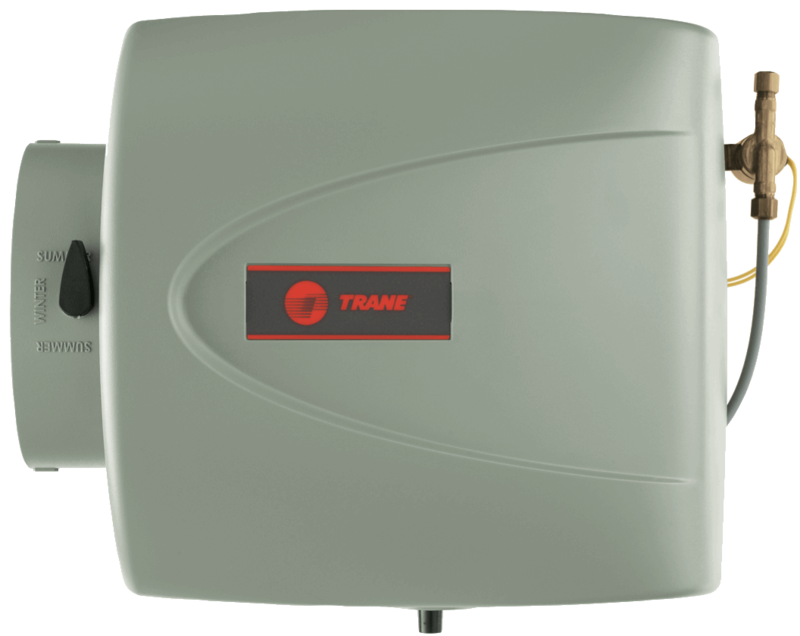 Trane CleanEffects utilizes patented, breakthrough air cleaning technology to remove up to 99.98% of airborne allergens from the air that passes through the filter, making it 8 times more effective than even the best HEPA room filters and up to 100 times more effective than a standard 1" filter. Trane CleanEffects has been performance-tested by LMS Technologies and Environmental Health &Engineering, Inc. (EH&E), with the results verified by professors from the Harvard School of Public Health, so you know you're getting an air filtration system like no other. The Logan Services' Perfect Air Plus is a whole-house polarized-media electronic air cleaner. It can be easily installed directly into the 1" filter rack(s) in the existing heating and cooling system. It's electronically enhanced media combines elements of both electronic and media air cleaners. Particles are electrically charged (polarized) and then collected in the high efficiency media. 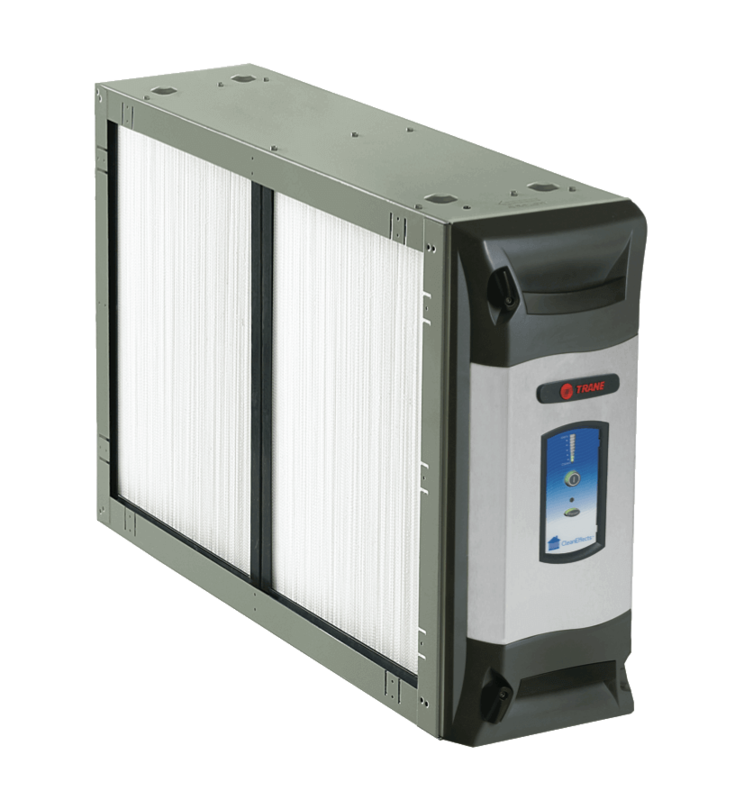 The Logan Services' Perfect Air Plus can capture the smallest sub-micron particles, in addition to airborne pathogens, and volatile organic compounds (VOC's). It's disposable replacement media pad can be replaced in just minutes to keep your air cleaner and your system running at peak efficiency. When it comes to the comfort of your indoor air, temperature isn’t the only thing to consider. For many families, a whole home humidifier not only provides the right amount of moisture for total comfort. It can also help to keep irritating airborne particles from circulating as easily. Helps alleviate dry conditions which may aggravate asthma and allergy symptoms. Reduces static electricity in carpets. Helps avoid damage from dry air to your furniture, woodwork, paintings and musical instruments. Reduces shrinkage of wood floors and woodwork. Helps cold winter air feel warmer at lower temperature levels. Eliminates need for portable appliances. Find out why Trane humidifiers are the right choice for your home by scheduling a free in-home consultation with a Logan Services’ comfort consultant today. 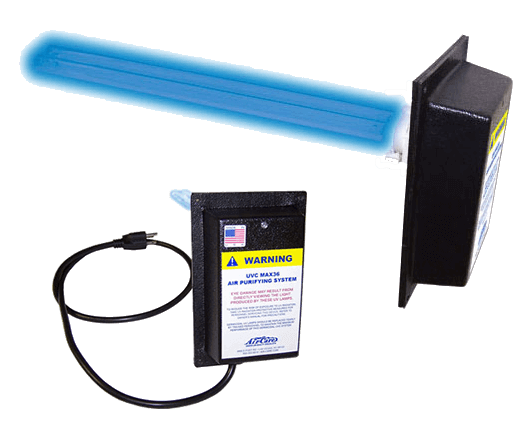 UV lights have been proven to be effective at helping to clean air ducts. The UV-C energy produced by the bulbs can destroy even the smallest particle of dust or microbial. In fact, research indicates that 99.9% of viruses and bacteria within the air ducts of your home can be destroyed with the effective UV lighting. By destroying the DNA of these bacteria, UV lights can help to reduce bad smells and greatly improve the quality of the air that you breathe within your home. This, in turn, can improve allergies, decrease illness, and provide relief to asthma sufferers. Treat the air throughout your entire home, not just one room. Safe, efficient operation – uses less power than a 20-watt light bulb; operating on a single outlet. Freshens recirculated air during winter and summer months when homes are closed to outdoor air. 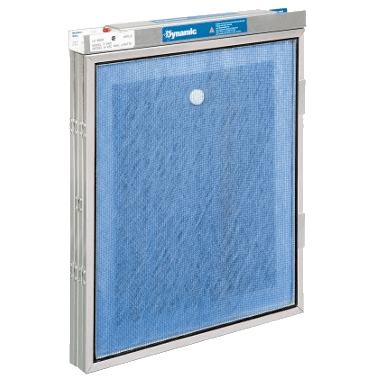 A great addition to any home with air filters and humidifiers. UV-C is a natural component of sunlight, and is the reason that many harmful microbes die in natural outdoor light. However, within air ducts they are left to breed and grow almost at will. Having your air ducts cleaned regularly will certainly assist in the problem but having UV-C lights fitted offers a more thorough, long-term, and preventative solution. The UV-C rays break down the outer membrane of the microbe and pierce its DNA. This alters the DNA of the microbe so that it is unable to reproduce.